Its too hot not to get wet! No Worries... All of these water slides can help you have the coolest party ever. "What are you going to do with a house full of kids?" From Giant Slip n Slides to Water Tunnels, Backyard Water Slides to huge 22' Tall Ones; A Child's Joy offers the widest variety of Water Inflatables and Attractions in Arizona. 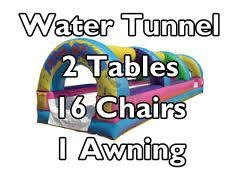 *PARTY HINT - After the kids go to bed Water Slides are for grown ups! April Special: We'll deliver your Slide Friday or Saturday. Keep all weekend and we will pick it up Monday for $99 more. The safety of your children is the most important concern we have at A Child's Joy. Water Slides are tall and if they are not properly installed can be unstable and put children at risk. Don't settle for "a guy my friend knows" who rents cheap uninsured Water Slides out of his garage to make extra cash on the weekends. 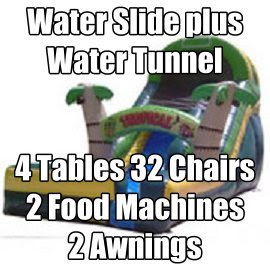 Looking for a (Water) Slide Rental for this Weekend? Yes, we still have some left for the upcoming Weekend and No, you don't have to get wet. Gravity is still your friend, you'll end up at the bottom wet or dry! Event date fast approaching? Last minute bookings are no problem, call Laurie at 602-820-8030 and she'll save your party! From small backyard Water Slides to huge two-story tall monster size Water Slides with double lanes A Child's Joy has you covered. 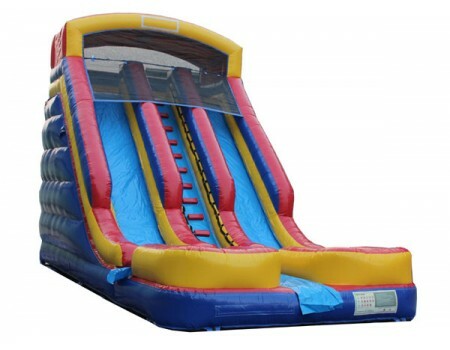 Combine a Bounce House and Water Slider for extra fun. 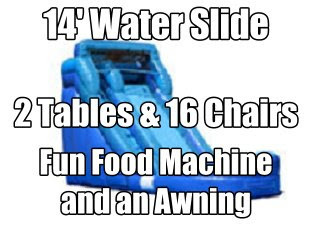 Add a Snow Cone Machine or Tables & Chairs to complete your Party. Our Discount Party Packages make planning quick & easy. We will deliver your water slide on time, every time; so you can worry about more important things such as "will my guests like the avocado dip I made?" A Child's Joy has been at it since 1990. We've revolutionized the children's entertainment industry in Arizona and we'll continue to innovate and create so you can throw the best party or event your friends have ever seen.